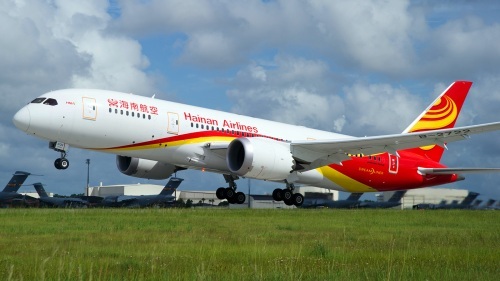 Hainan Airlines is having a 5 year anniversary sale on their Toronto to Beijing, China (PEK) flights for $782 CAD roundtrip incl taxes. Various other destinations in China are available for $21 more. Use a return date of: Oct 06, 07, 08, 09, 10, 11, 12, etc ... all the way up to December 31, 2015. It looks like your departure date needs to be in September 2015, and your return date needs to be in October, November, or December 2015, for this price to show up. These prices will be available until July 15th, or until seats sell out, whichever comes first. 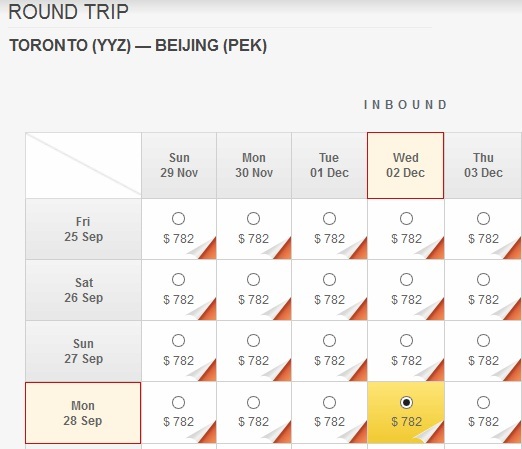 toronto, yyz, flight deals, asia, east asia, beijing, china, pek, hainan airlines, shenzhen, szx, guangzhou, can, dalian, dlc, fuzhou, foc, chengdu and ctu.